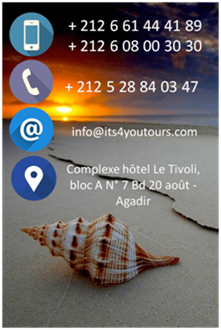 Desire to leave alone, in family or between friends? 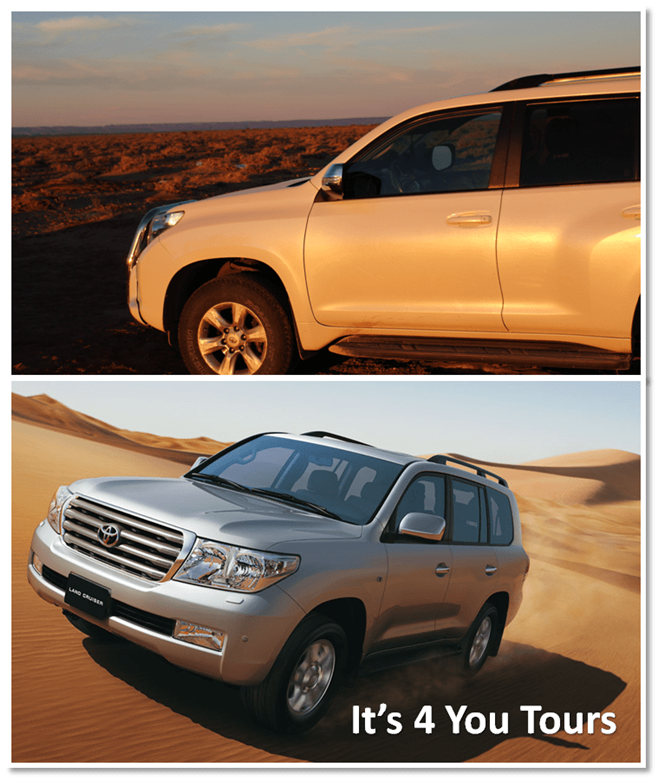 Discover the real nature of Morocco of the Atlas to the desert with our quality vehicles. 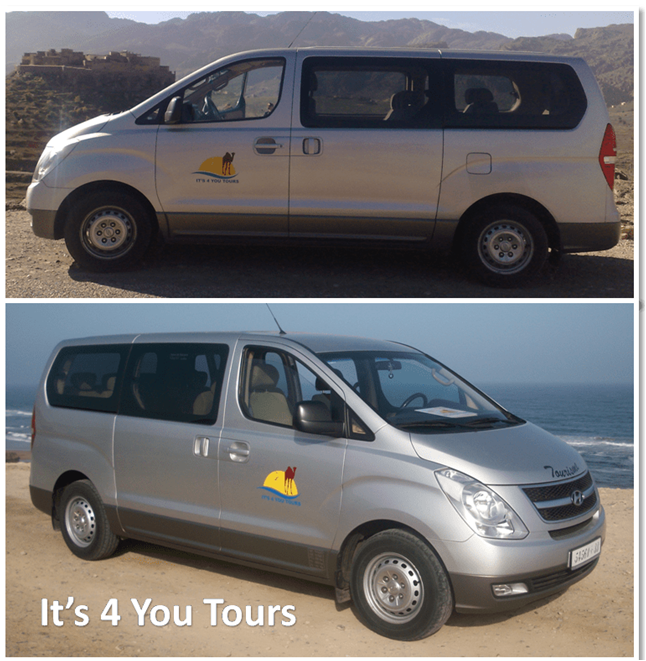 The company IT'S 4 YOU TOURS widens its services and proposes you a park vehicles allowing to assume numerous activities as transport any distances, transport of groups or individual in Agadir, Marrakesh and everywhere in Morocco. 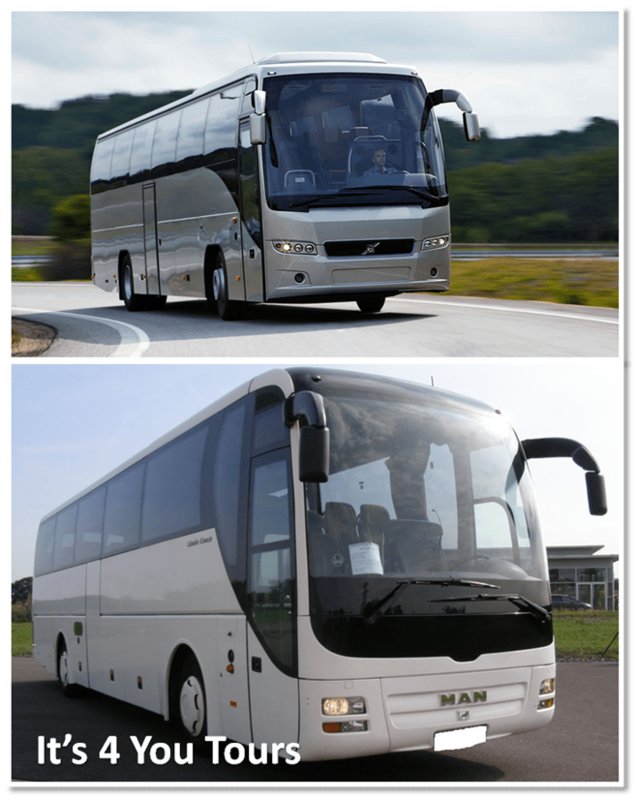 To be able to you transport in the best conditions of comfort and safety, we benefit from vehicles adapted to your needs, in terms of capacity or comfort. We grant a particular care to their interview, which is made in approved garages. 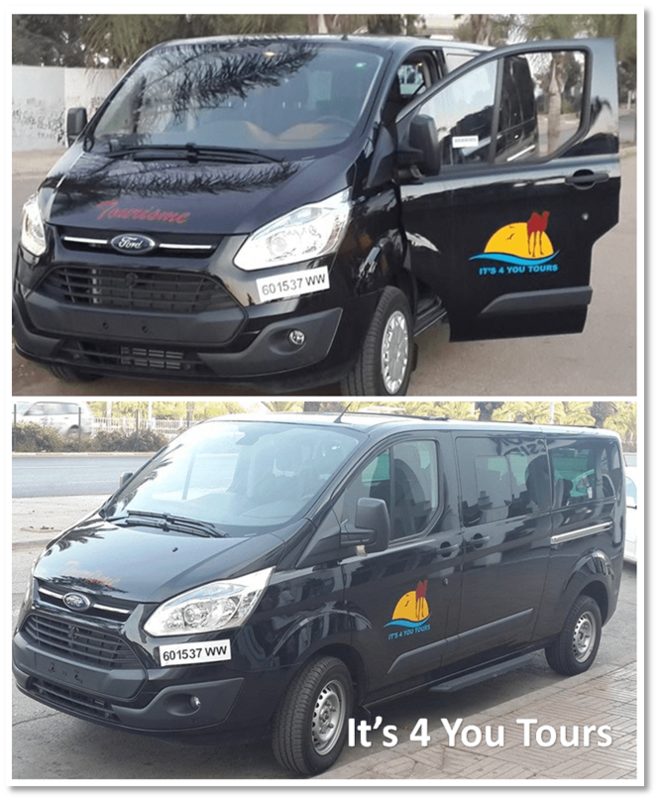 At the moment, all the vehicles of our park are equipped with seat belts, and we try to renew our vehicles to satisfy the obligations of safety and comfort that impose us our job. 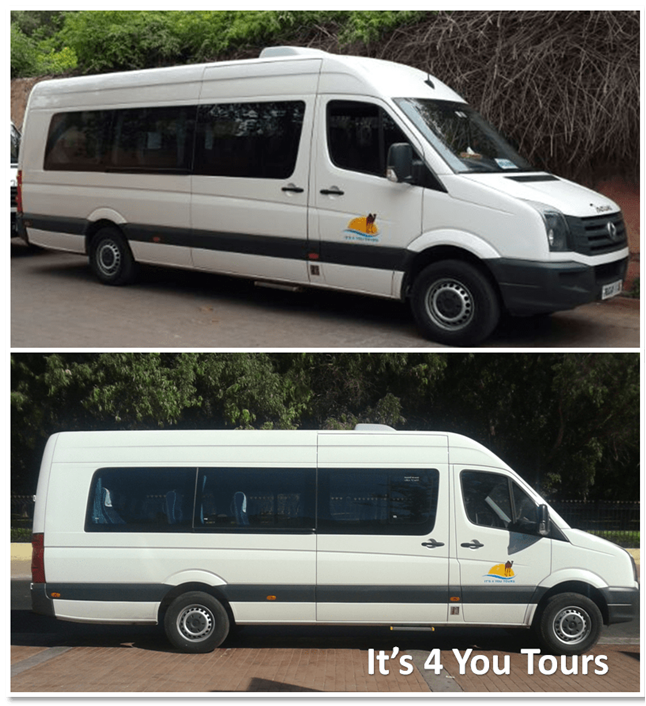 A variety of mini van and air-conditioned minibuses 8, 10, 12, 14 or 17 seats with professional drivers.